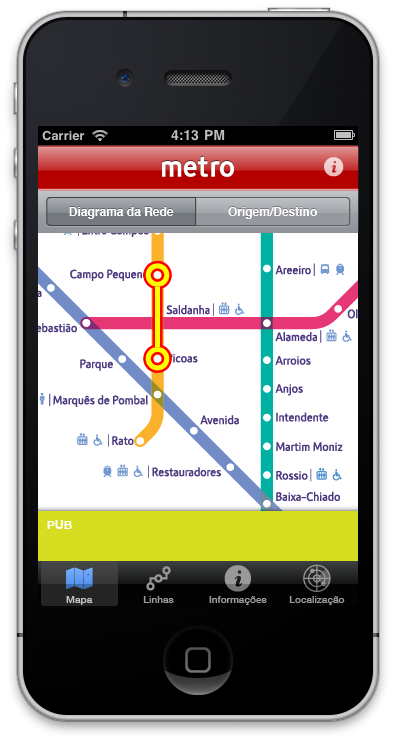 Official iOS app for the Metro de Lisboa. 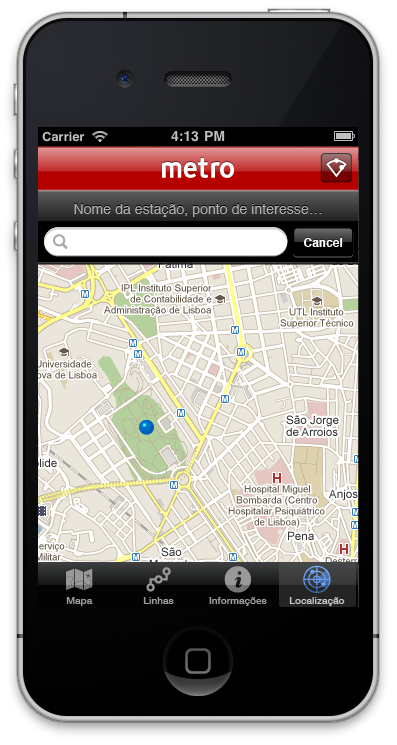 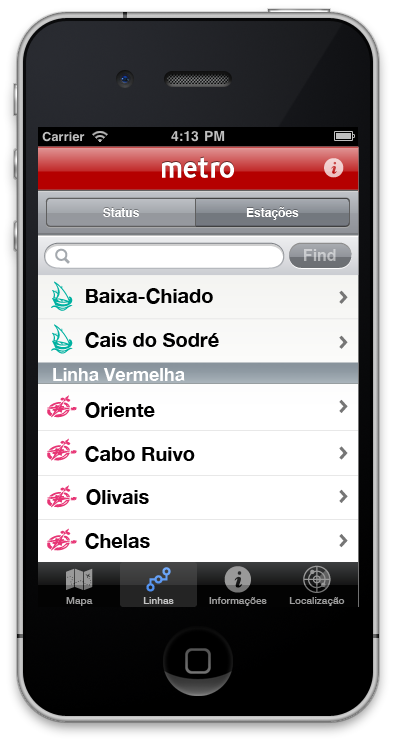 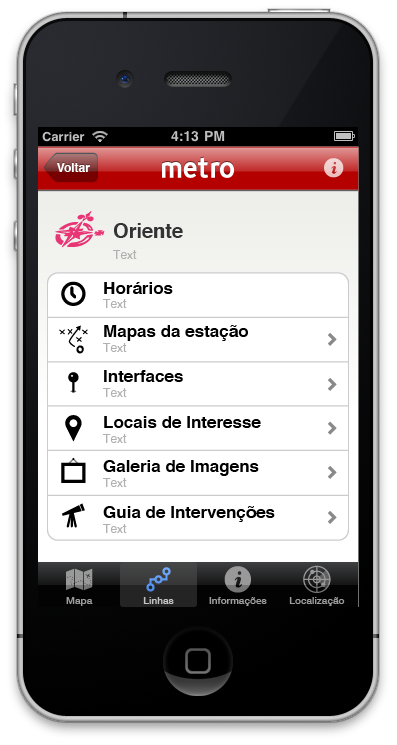 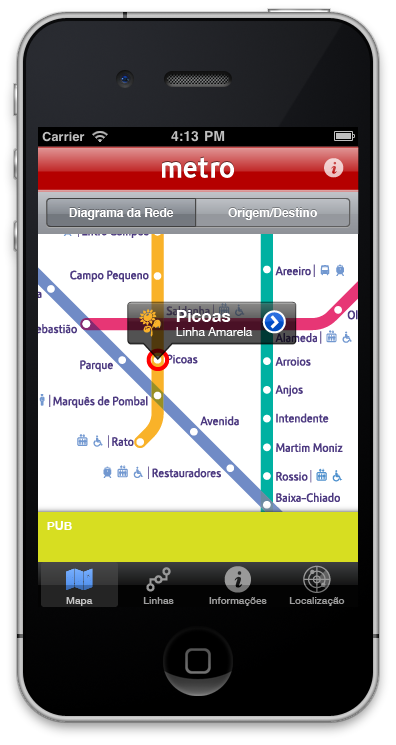 In 2012 i was responsible for the UX, UI and leading the team that developed the Lisbon Metro app for iOS and Android. 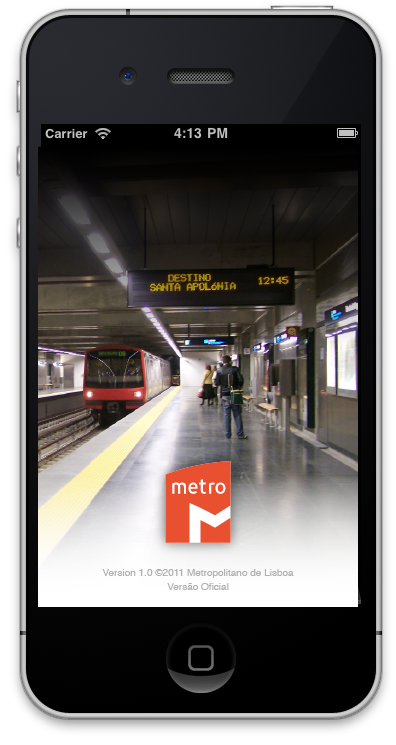 The app was rather innovative for the time, featuring an augmented reality mode were you could find hot spots and metro station on the screen of your iPhone. 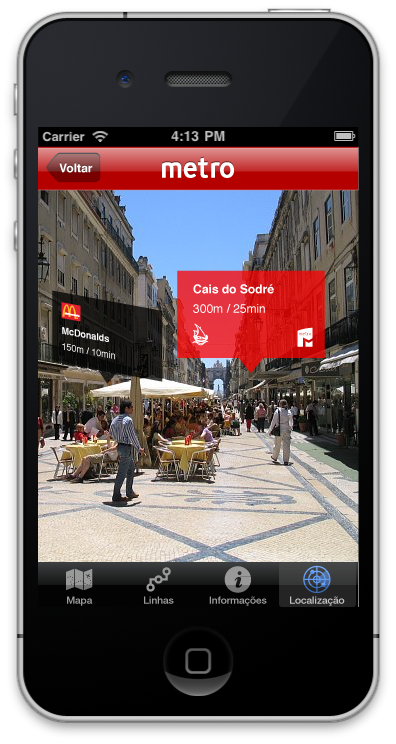 This worked by superimposing the information on top of the live camera feed while using the GPS and gyroscope sensor of the iPhone to determine location direction and distance. 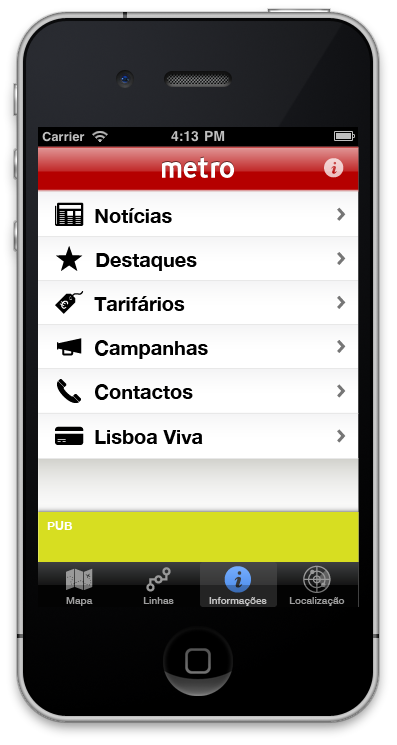 In the Metro de Lisboa official app you will be able to find all the relevant information about our service. 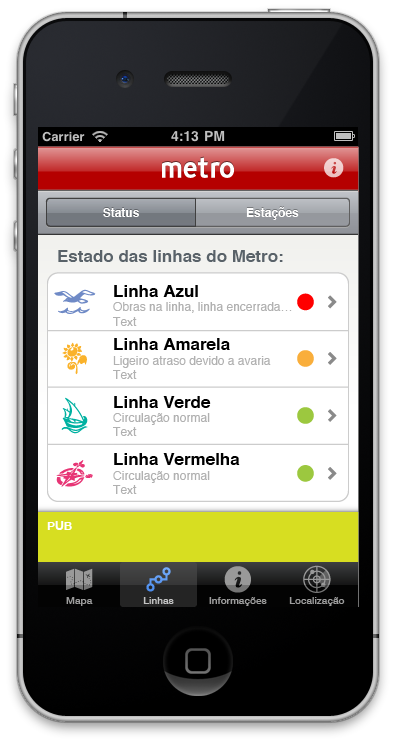 It will enable the possibility to trace a route, get real time Line Status and information; check our timetables and fares in force; read the latest news about “Lisboa Metro”; use your actual location to find stations and points of interest around you and check specific information about each of our stations. 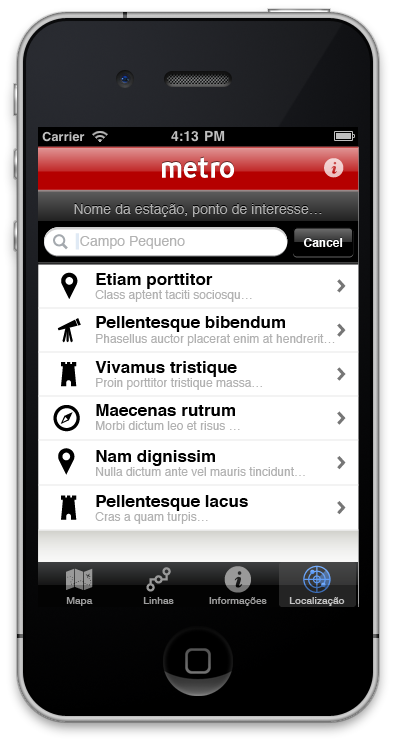 Mockups delivered to the client previous to development.